The Supplemental Nutrition Assistance Program (SNAP), formerly called the Food Stamp Program, is designed primarily to increase the food purchasing power of eligible low-income households to help them buy a nutritionally adequate low-cost diet. This book describes the rules related to eligibility for SNAP benefits as well as the rules for benefits and their redemption. In addition, this book discusses categorical eligibility and some of the issues raised by it. It first describes the three different types of categorical eligibility: traditional categorical eligibility conveyed through receipt of need-based cash assistance, and the newer “narrow” and “broad-based” categorical eligibilities conveyed via TANF “noncash” benefits. It also provides recent information on current state practices with regard to categorical eligibility, and discusses proposals to restrict categorical eligibility. 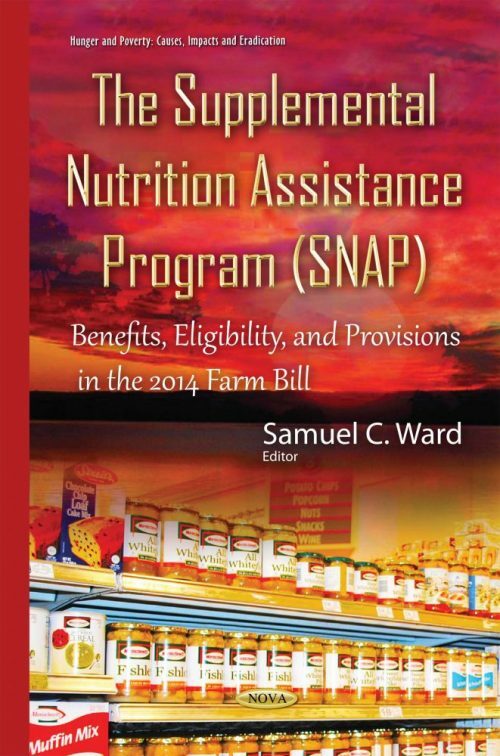 Finally, the book discusses the Nutrition Title (Title IV) of the enacted 2014 farm bill.